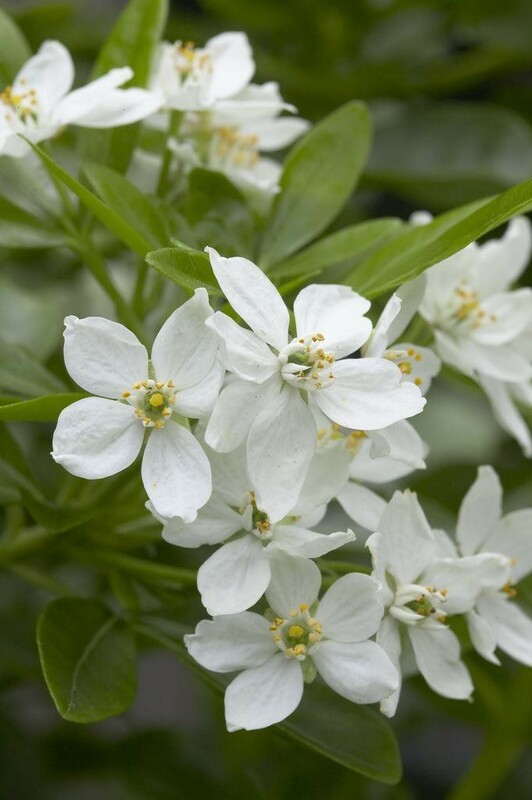 Wonderfully scented, star-shaped, white flowers in late spring and handsome, aromatic, dark green leaves. 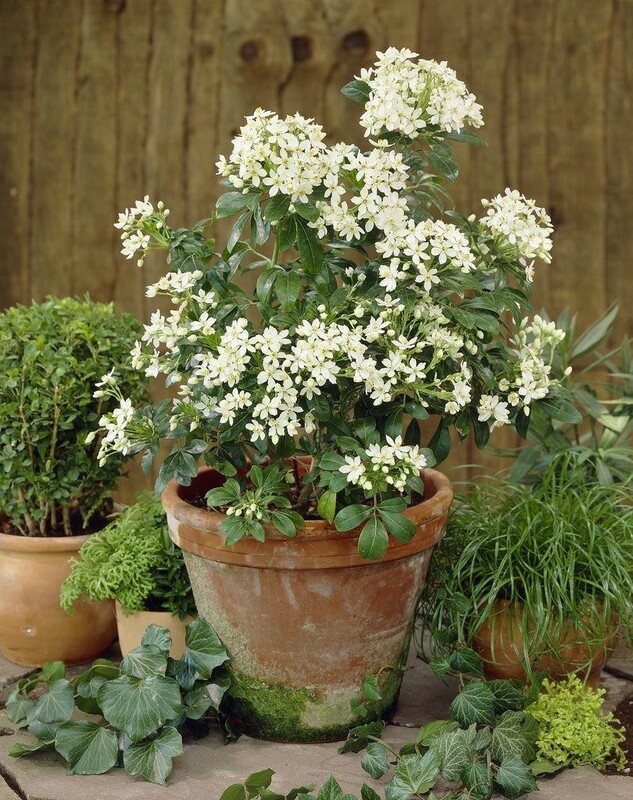 This compact and easy-to-grow shrub is a valuable garden mainstay. 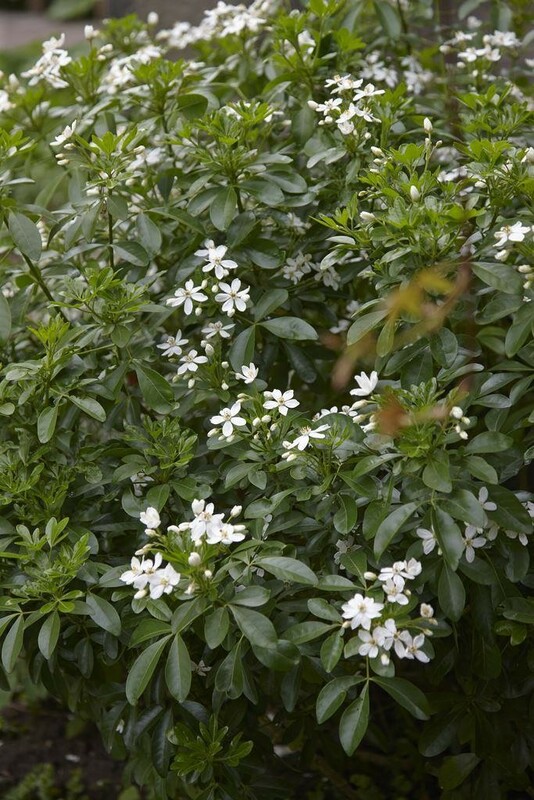 The glossy, evergreen leaves provide an excellent backdrop for medium-sized perennials and pale-grey or purple foliage plants. Supplied in approx 2 Litre containers.